Restructuring, higher taxes and weaker sales in Russia and Brazil hit the carmaker last quarter. The strong dollar’s effect is more worrying, though. It hurt in Latin America, and Japanese and European rivals are gaining an advantage over Detroit’s Big Three in the U.S. market. 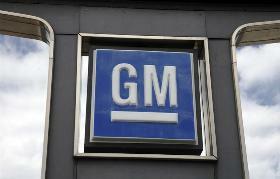 A GM sign is seen outside the Medved General Motors car dealership in Arvada, Colorado August 12, 2010. General Motors on April 23 reported first-quarter net income attributable to common shareholders of $945 million, or 56 cents a share. Results included a $400 million after-tax loss related to a change in the company’s business model in Russia and a $100 million hit from an increase in the estimated costs of the faulty ignition switch compensation program. GM announced last month that it is closing a Russian factory and winding down its Opel brand in that country. Excluding those items, GM would have earned 86 cents a share, missing the consensus estimate of sell-side analysts of 97 cents a share, according to Thomson Reuters I/B/E/S. GM’s tax rate for the quarter was 28 percent, higher than the mid-20s range the company had given for the year and then reiterated on April 23. Revenue was $35.7 billion, missing the $37.7 billion analysts had expected, thanks to lower sales in Brazil and Russia and the impact of the strong dollar on local sales in South America.